Bliža se čas dopusta in v vročih poletnih dneh je osvežitev ob vodi pravi blagoslov. Na nekoliko manj obljudenih področjih pa lahko poleg narave opazujemo še pestre prebivalce vodnega in obvodnega sveta. Za tokratni izziv pri Creative Moments sem si izbrala SparkleNSprinkle digi štampiljko z naslovom Wetlands. Dobite jo na TEJ povezavi. Very nice ... Thanks for playing with us at Patti's Creations. I wish you luck and happy crafting!! You have created a beautiful scene here. Thank you for joining in the QKR Stampede challenge this week. 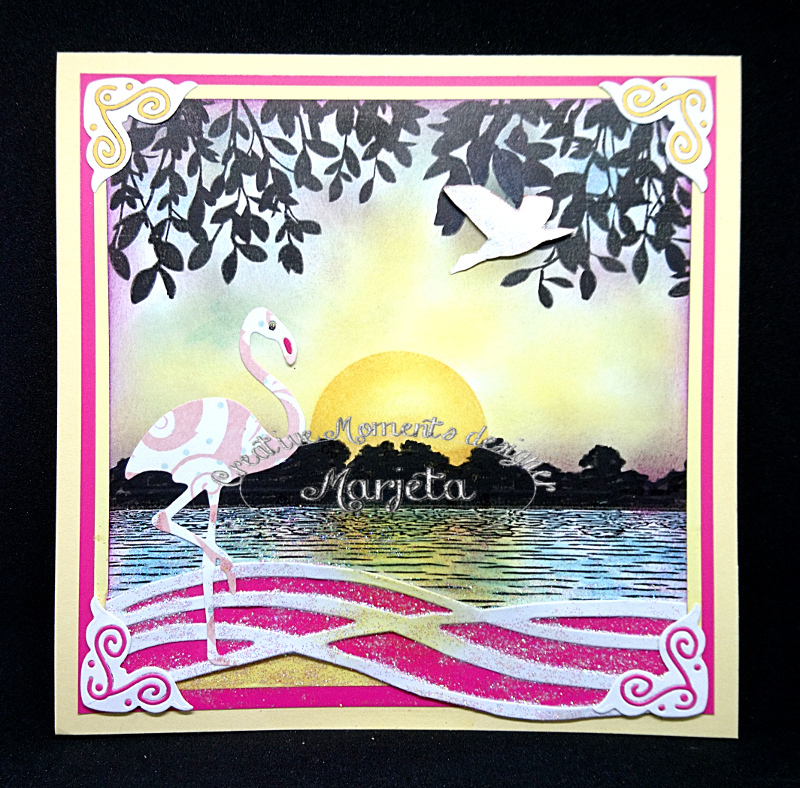 Lovely, Marjeta! So glad you shared with us at QKR Stampede this week. Good luck. So pretty! I love the beautiful background you created! Thanks for playing with the House That Stamps Built. Čudovito okolje si mu pričarala. Lovely summer-card. Thanks for joining us at Scrappelyst. Beautiful! Thank you for sharing with us at The PIP Challenge. Thanks for joining us at Crafty Sentiments this week! 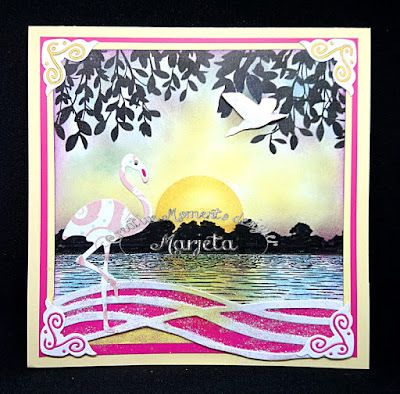 Gorgeous card, loving the background. Thanks for entering Lil Patch of Crafty Friends, good luck and hope to see you again.